New Hampshire’s most picturesque seacoast town, Portsmouth has developed a youthful vibe that has made it one of New England’s most desirable places in which to live. With its vibrant downtown, carefully preserved turn of the century architecture, direct access to the water and major ski areas and thriving restaurant scene, Portsmouth is a city known for its exceptional quality of life. 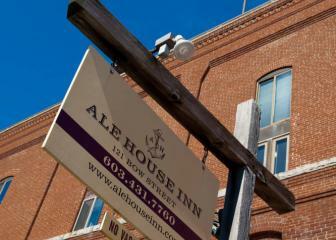 Located in the historic Portsmouth Brewing Co. building (c.1880), our Portsmouth NH inn, Ale House, is Portsmouth's premier boutique, urban inn. Centrally located in the Market Square district, we are surrounded by all the shops, restaurants, cafes, and historic sites that make Portsmouth so special. 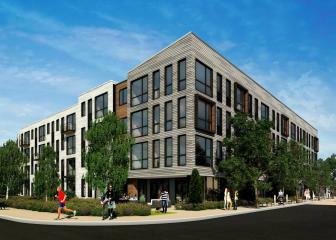 The Veridian will set a new standard for apartment living in the Portsmouth area with unparalleled design features and amenities. Located at the newly redesigned Portsmouth Green shopping district which features a new Starbucks, McKinnon's Market, Shio Sushi, Linda Taylor Boutique, Cinemagic, Hand & Stone Massage and Facial Spa, fitness boutiques such as Cycle Fierce, Orange Theory, Pure Barre, and more. The Veridian is located just 4 miles from the Portsmouth waterfront. The building itself features a cutting edge, contemporary design that offers units with 9-foot ceilings and designer kitchens with the latest appliances, all while being surrounded by sustainable building materials. The common areas offer convenient gathering spaces, a full fitness center and free WIFI. From young professionals to area professors, to those who appreciate the convenience of retail amenities at their front door, the Veridian will set the bar for vibrant living in the seacoast area.